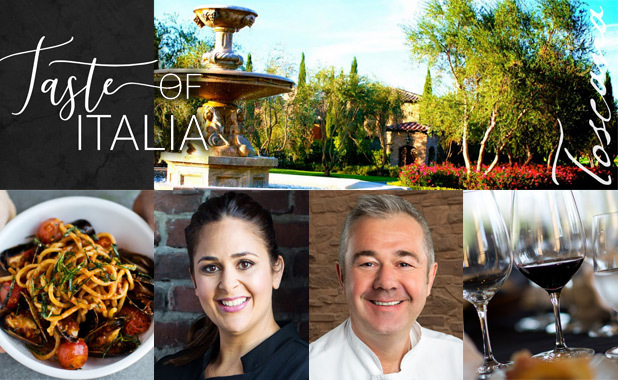 Featuring Antonia Lofaso, celebrity chef, television personality, restaurateur, and cookbook author, and Alain Redelsperger, executive chef Toscana Country Club. Experience the vibrant culinary landscape of Italy, where every dish has a story and old traditions are celebrated next to new voices. Start your evening with a cocktail reception followed by a remarkable four-course dinner paired with exceptional wines that are sure to capture the heart and soul of this country. A portion of the proceeds from this event will benefit the Friends of the James Beard Foundation and Coachella Valley’s FIND Food Bank. Each seat sold will feed 35 people, and our goal is to feed 1,000 people through FIND Food Bank’s assistance program. Help us help others by dining tonight.